A comfortable space for non-native English speakers of all levels to practice their language skills. Looking to practice speaking English? Here's your chance. 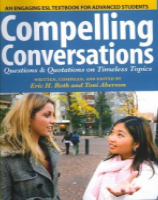 The starting point for our practice conversations will be the reading of short, easy selections. No registration required; join us whenever you can.